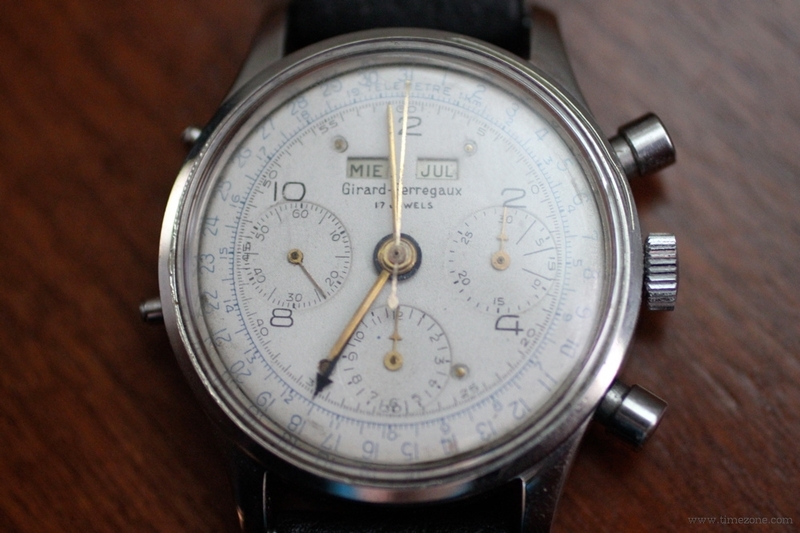 Not many of these vintage Girard-Perregaux around, and certainly not in such fine original condition. 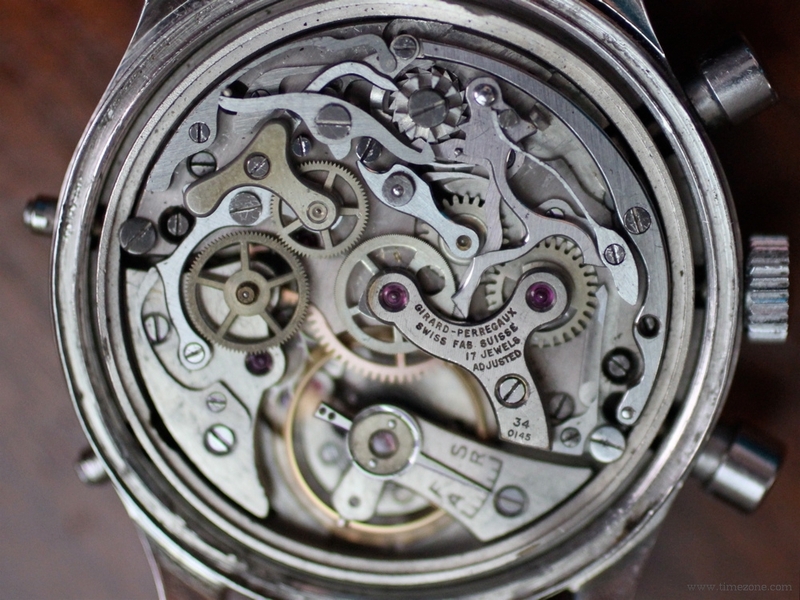 For this model, Girard-Perregaux used the Valjoux Calibre 72C, an especially desirable manual-wind chronograph movement with column wheel construction and triple calendar. 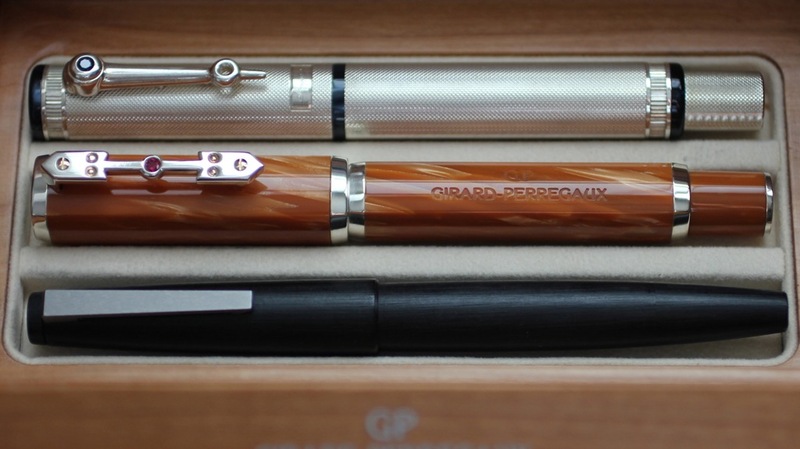 Girard-Perregaux also collaborated with the Italian pen manufacturer Montegrappa to craft fine pens inspired by the iconic Tourbillon with Three Gold Bridges. 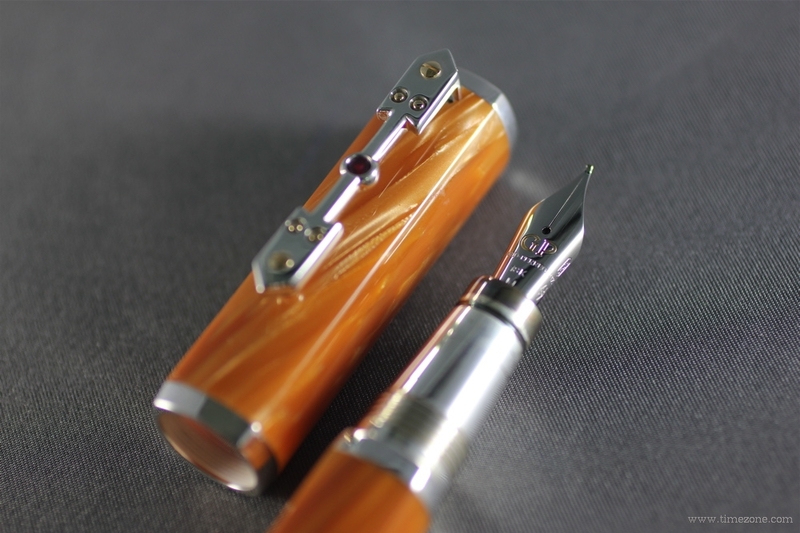 The marbled celluloid barrel and cap are accented with sterling silver fittings. 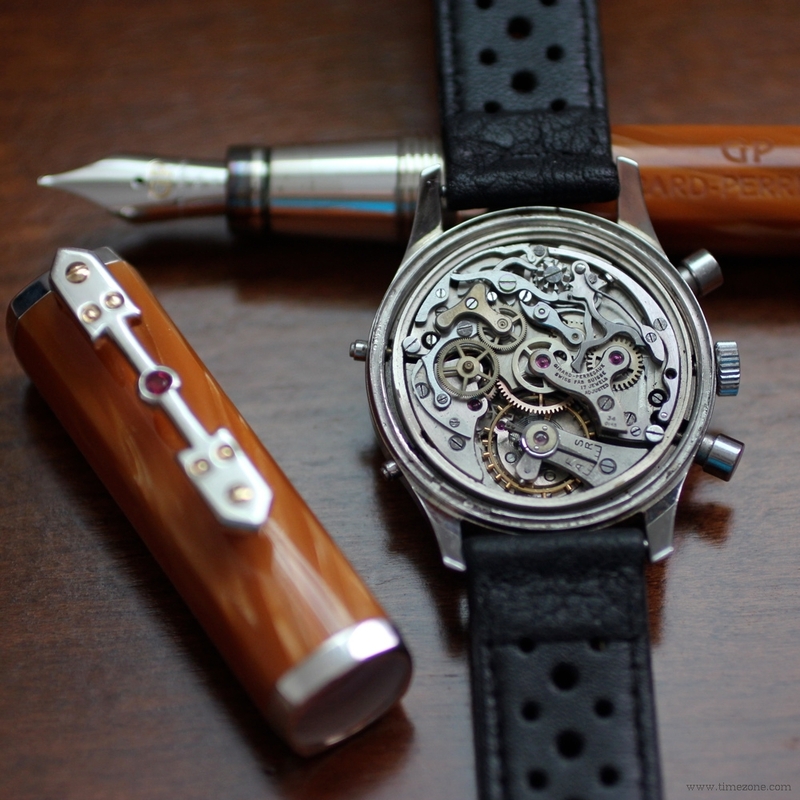 The sterling silver clip is attached with gold screws and finished with a natural ruby.